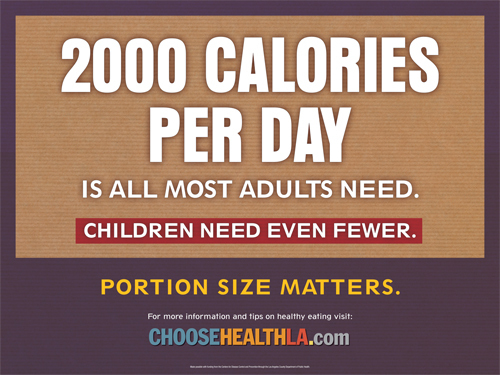 2,000 calories per day is all most adult need to eat, for children it’s even less. With bigger food portions come more calories, these extra calories can lead to obesity, diabetes, heart disease, and some cancers. A simple way to start being healthier is to choose to eat a little less. Choose Less. Weigh Less. 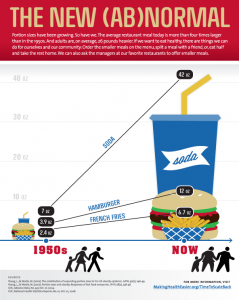 Knowing the right portion sizes when eating out or at home can help you eat healthier and gain less weight. Below are easy tips to help you. For more tips on portion size of common foods visit our YouTube channel. 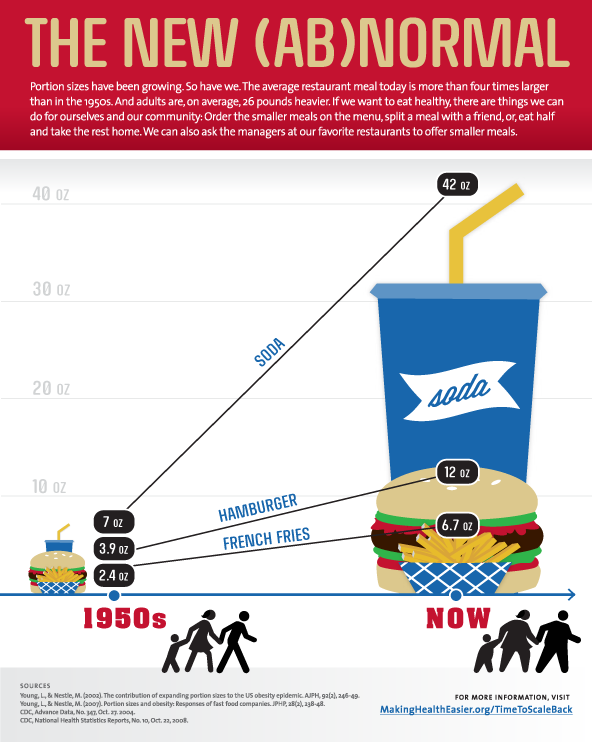 The average restaurant meal today is more than 4 times larger than it was in the 1950’s. Our dinner plates have also increased from 10 inch plates to 12 inches since the 1960’s. Larger plates mean we are eating more. It’s time to scale back!